Why not add something to the crate? But what about the Butterflies? The Big Butterfly Count may be over for another year, but the threat to our majestic garden visitors continues! You may have noticed that in recent years, butterflies have been a little less existent in our summer gardens. The sad truth is, some of our most colourful and well-known species have experienced a fatal fall in numbers, with the total abundance of common butterfly species falling a severe quarter, since monitoring began in 1976. 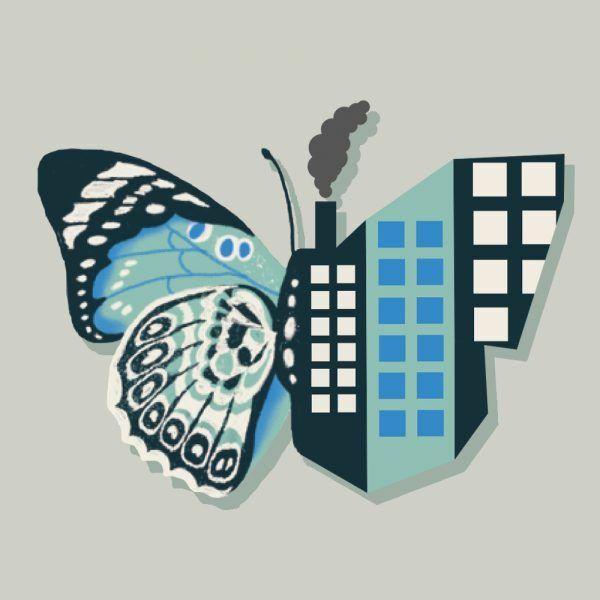 Research has also revealed a prominent decline in urban butterflies over the past twenty years. This is linked to global warming, and simply the lack of wildlife-friendly garden space within our built up and polluted cities. To put it plainly, 2016 was a bit of a nightmare for butterflies, with results from the annual UK Butterfly Monitoring Scheme, led by Butterfly Conservation, and the Centre of Ecology and Hydrology, painting a sorry story. Research has suggested that the UK’s progressively mild winters are having a damaging effect on butterflies, leading to increased disease, predation or disruption of overwintering behavior. So, what can we do to help save our fluttery friends? Garden by garden, we can invite more butterflies in, by planting pollinator-friendly plants that are loved by butterflies. Think of it as a butterfly’s version of a great British summer garden party. We can’t have a summer shindig without strawberries and cream, and butterflies can’t party without the source of sweet, sweet nectar. Any size garden can attract and support butterflies, from a wildflower meadow, to a small terrace with a few planters and pots, bursting with well-chosen pollinating species. A patchwork of pollinator gardens in villages, cities, and rural areas around the country too, could provide enough habitats to restore healthy communities of butterflies and other pollinating insects. The RHS provide a handy Perfect for Pollinators database containing all the flowers that are best for Butterflies. If you’re in a muddle with which plants to add to your garden, we can help! 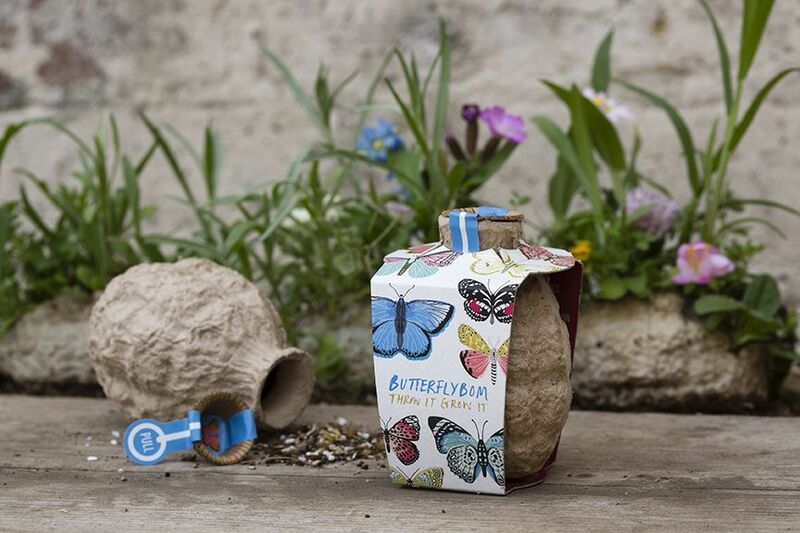 Kabloom’s Butterflybom contains a nectar-rich wildflower mix, loved by butterflies and other pollinating insects. 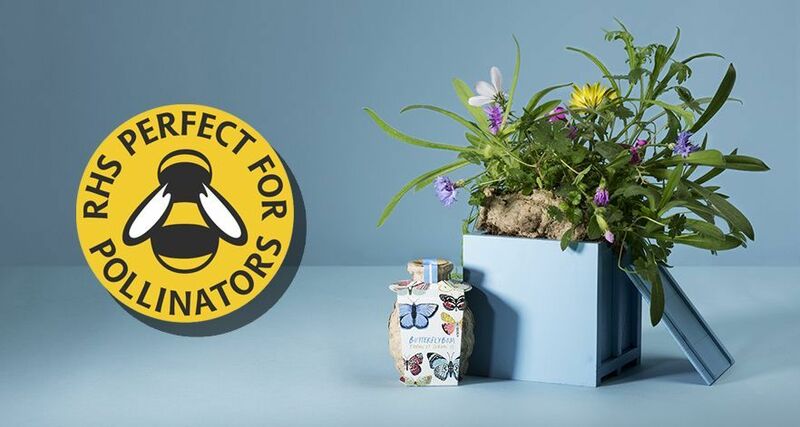 Each Butterflybom promotes butterfly populations, and contains species of plants that are recommended by Butterfly Conservation as “larval food plants”, and includes various annuals for first year impact. How do our Butterflybom work? Simple! 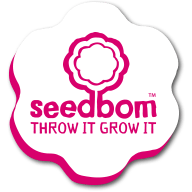 Pull the pin and throw or drop the Seedboms into areas with bare soil, natural light, and that can be kept damp whilst growing. Seedboms will biodegrade into the environment, leaving only the plants behind. (Full instructions are included on the inside of each seedbom sleeve). Join the Kabloom mailing list for regular (but not too often!) emails telling you about our latest news, products and events + receive a 10% discount code! You can follow what Kabloom are doing by joining us on one of our social media channels.